Another successful installation of our mesh privacy fence banners for Kingfisher Special School. 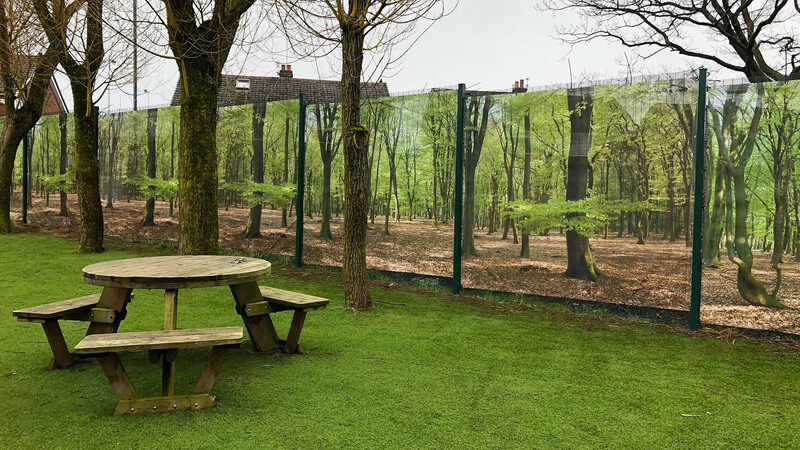 They are designed to give privacy to the children in the playground and help enforce the schools safeguarding policies. The woodland banners enclose the outdoor space beautifully giving a sense of nature visually, yet helping to keep an exposed space safe. We are really pleased with the effect and the children enjoy looking at the woodland image. Great company to work with.